Indian summer has officially arrived! It's been so hot lately I really don't like it, because all I can think about is fall and spiced latte and cozy knitwear. Looks like it will be awhile until I can fully enjoy all that. Until then you are going to see more summer looking outfits on here just like this one. 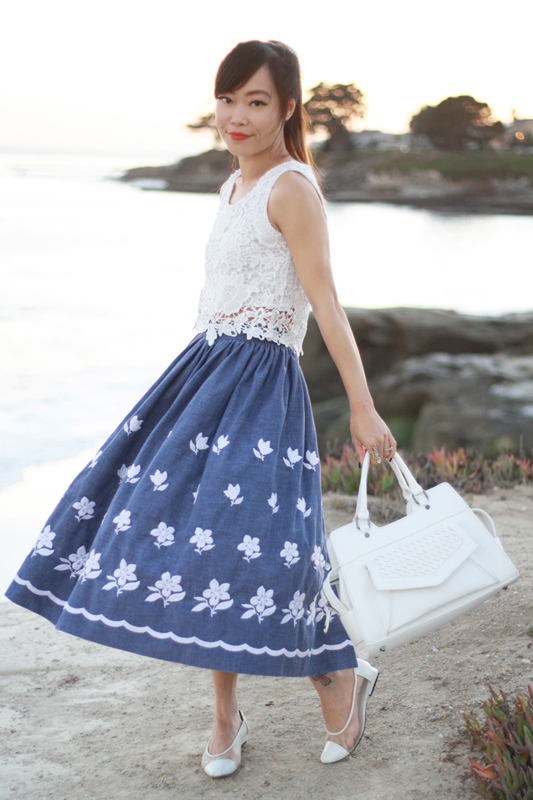 Isn't this vintage embroidered floral skirt dreamy though? I love how full it is and that it is chambray. 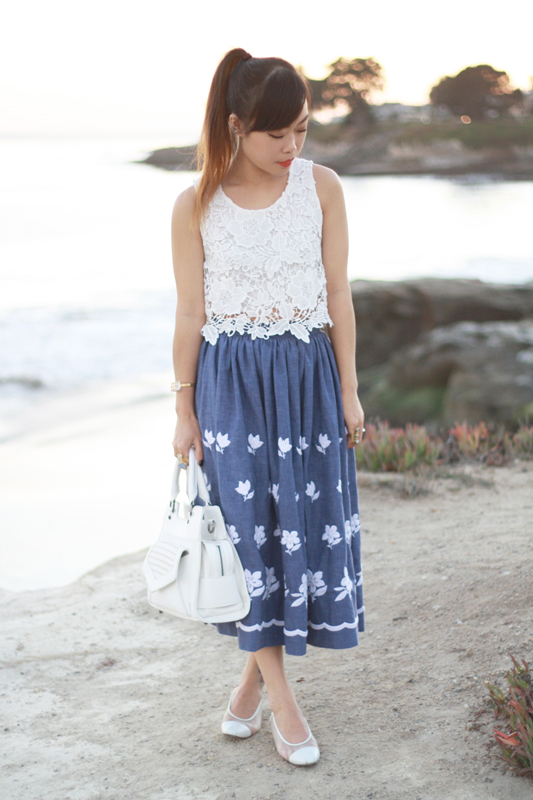 I paired it with a lovely crochet floral lace top, white vintage flats, and white satchel. It is so hard to find a decent white colored bag and this one is just perfect. 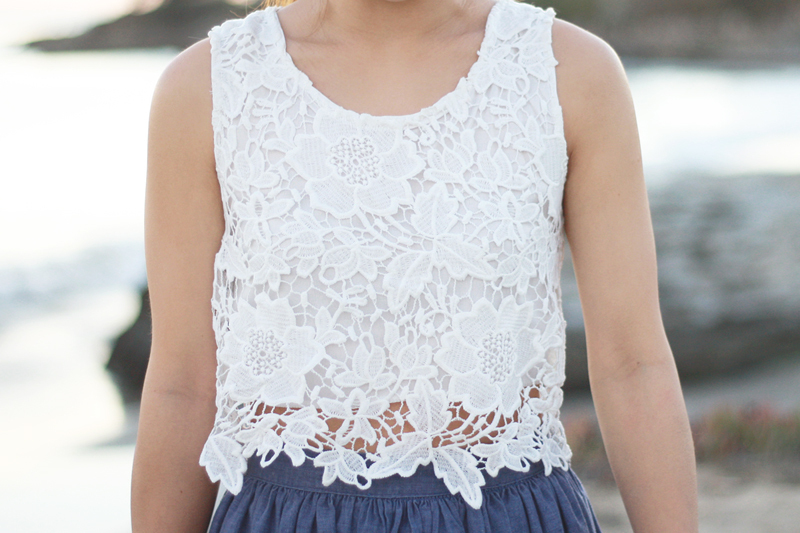 Crochet floral lace top c/o Red n Bold. 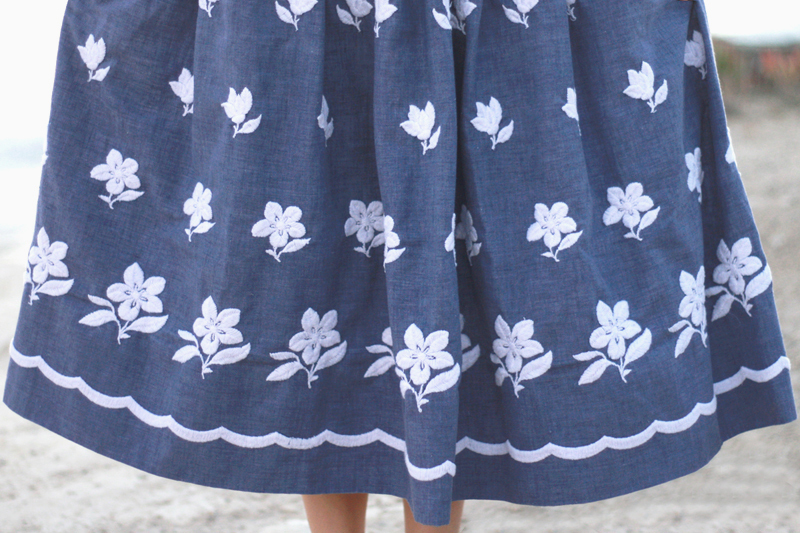 Vintage embroidered floral chambray skirt by Little Stitch Sewing Shop c/o Crazy Platter. 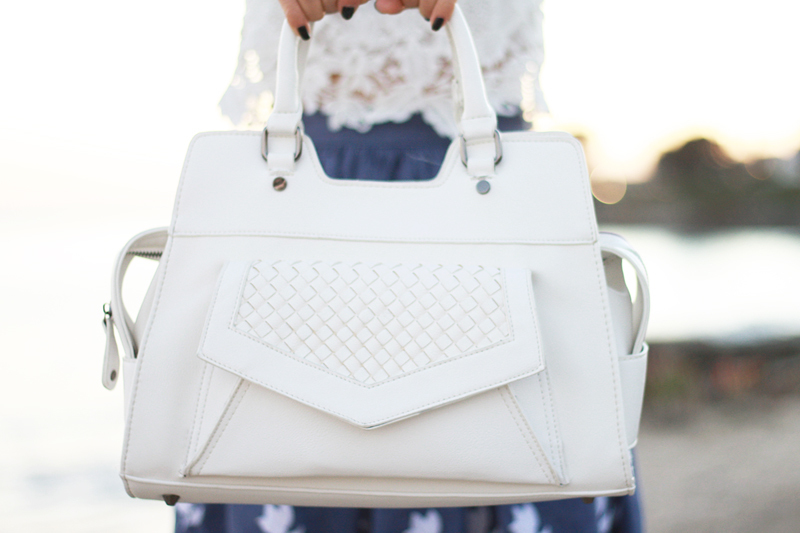 White satchel bag by Street Level c/o Handbag Heaven. such pretty embroidery. :) It's been hot the passed few days where I am too. I can't wait for fall to truly arrive! 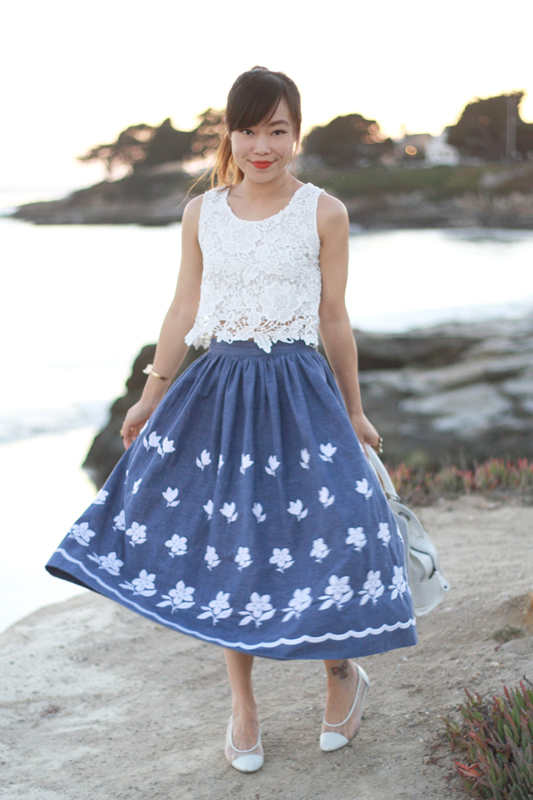 Oh my goodness, that skirt is a dream! 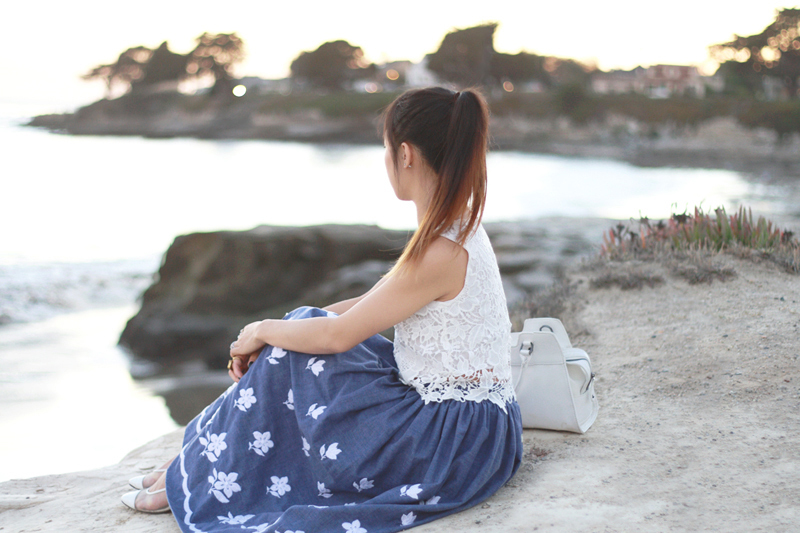 Absolutely love your style and your blog is awesome! ah, you always have the best outfits! that skirt is the most wonderful piece! How fun is this skirt?! I love it!